3 star property, located 5.1 km from Leh Airport, 3.7 km from Helipad The hotel offers 24 well appointed and furnished rooms equipped with intercom facility, cable television, satellite television, direct dial phone, dining hall and mineral water. The hotel is in close proximity to Leh Palace (1 .9 km), Shanti Stupa (1.7 km), Magnetic Hill (28.9 km) and Hemis Monastery Museum (42.1 km). 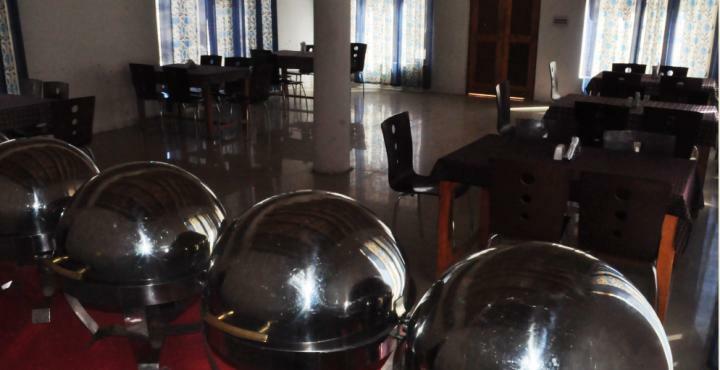 It offers facilities like taxi service, laundry, sightseeing, travel desk and bonfire. In-house restaurant serves their guests delicious and mouth-watering dishes. Campfire/Bonfire, Internet/Wi-Fi, Family/Child Friendly, Taxi Service, Currency Exchange, Travel Counter, Major Credit Card Accepted, Laundry Facilities, Doctor on Call, Restaurant. Telephone, Cable/Satellite TV, Bottled Water in Room, Internet Access, Television Room, Ceiling Fan, Shower Caps, Luggage Rack, Makeup/Shaving Mirror, Dustbins. User reviews for "Cold Desert Camp Leh"